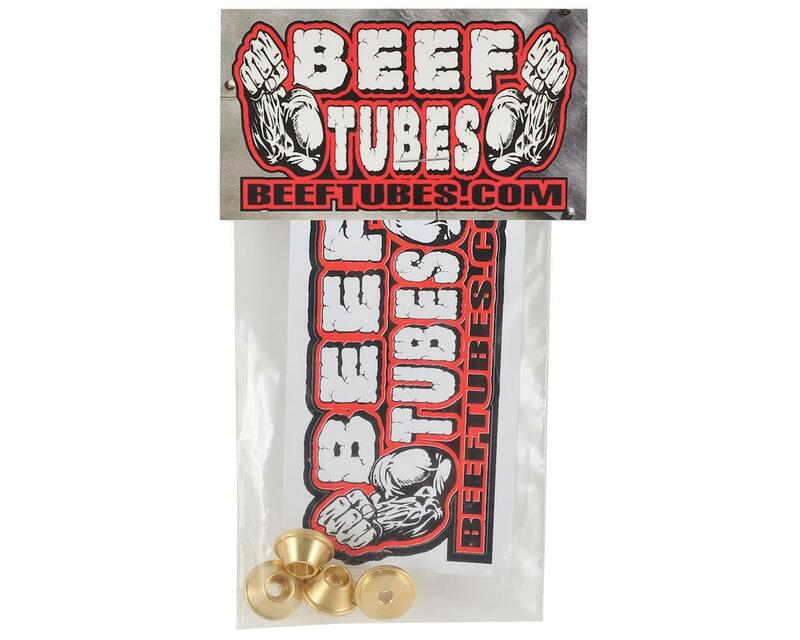 Beef Tubes SCX10 Spring Brass Beef Tips weigh in at 22 grams for the set. But adding Beef Tips to your rig is about more than adding weight! 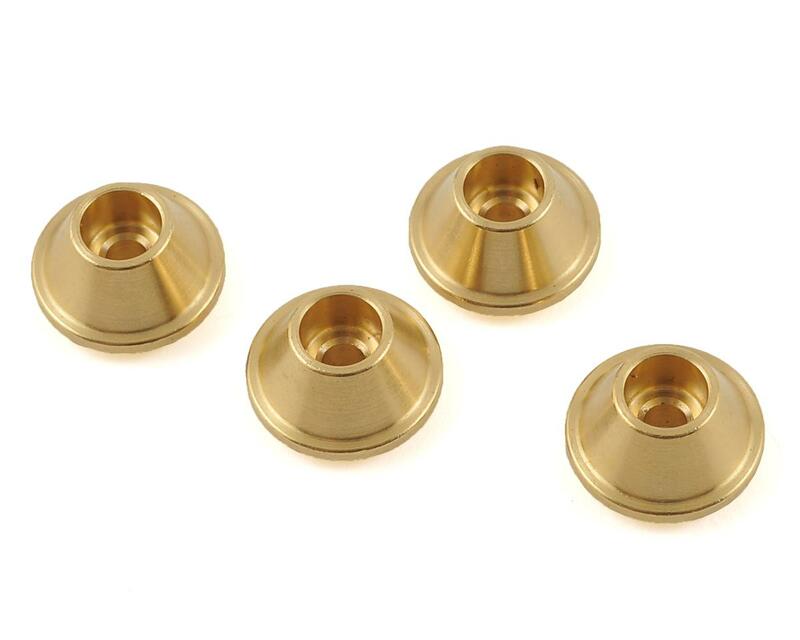 Unlike the stock spring cups, these are not slotted and can not fall off when the pressure is removed from the shock spring! Installation is easy, simply unscrew your shock end, install the tip onto the shock shaft and screw the shock end back on. Package includes four beef tips. NOTE: This version fits the stock Axial SCX10 Icon shocks and springs found on many Axial rigs including the Yeti Jr. They will also fit Traxxas Big Bore and Losi 4" crawler shocks, but are too small for the Traxxas and Losi springs.